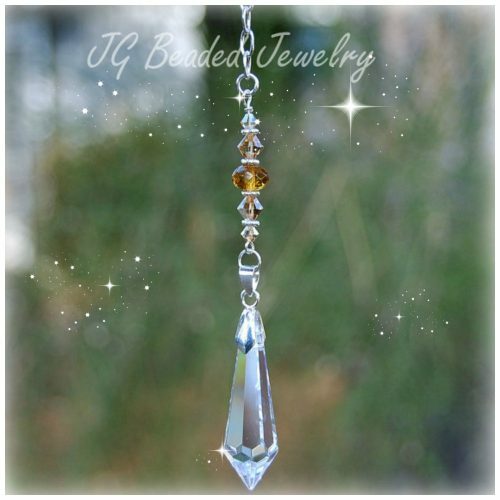 This iridescent Swarovski dragonfly suncatcher can be hung on the rearview mirror, in a window at home, the office or wherever you choose! 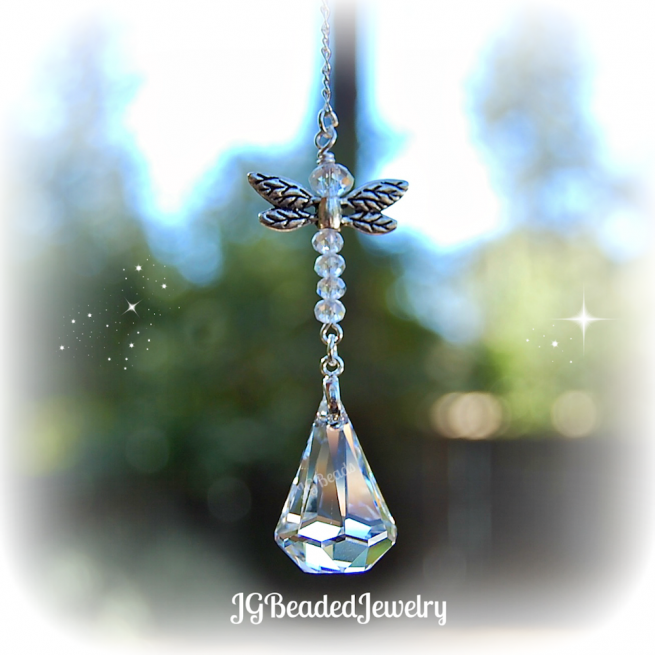 The beaded dragonfly crystal prism decoration is uniquely designed with a 28mm Swarovski teardrop prism crystal, iridescent faceted crystal beads and fancy silver dragonfly wings. ♥ Dragonflies represent change and transformation. The dragonfly symbolizes peace, prosperity, good luck, strength, harmony and purity. The life of a dragonfly is short and reminds us to live our lives to the fullest. 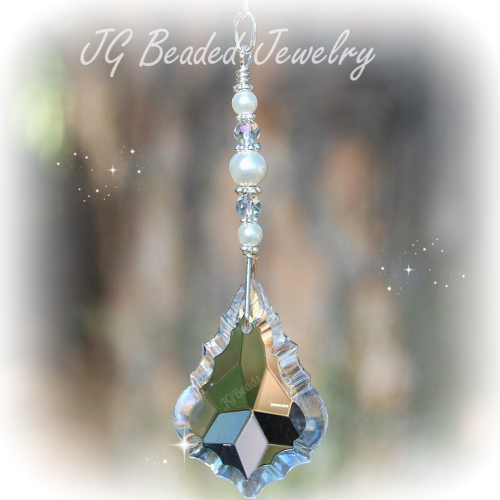 ♥ This Xirius Swarovski crystal prism has an elegant shape with a point at the top and a flat bottom. 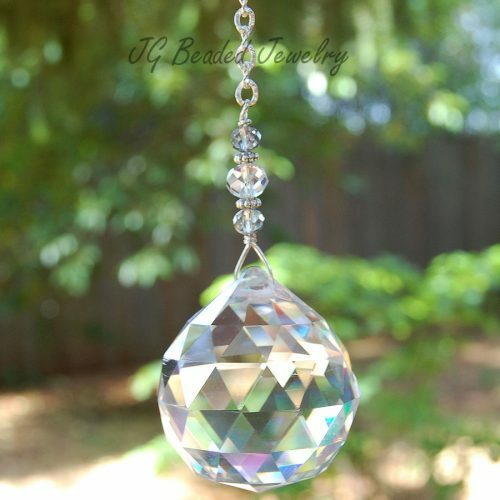 When you look at the crystal from the bottom, it has a beautiful kaleidoscope effect! Swarovski is known worldwide for their quality, precision cut, and flawless crystals – they are the best of the best! ♥ If you would like more than the quantity available or different color crystal beads, please send me a message with your request. 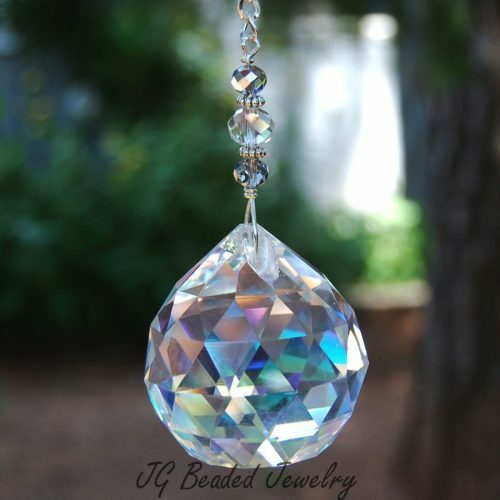 Offering many unique and individually handcrafted Rearview Mirror Decorations and Crystal Suncatchers!